You’ve said “I do” to marriage; now the pressure is on to find the honeymoon that lives up to all expectations. Often billed as the most important holiday of your lives, it’s a decision you want to get right. Here, Jane Anderson reveals the top 10 honeymoon destinations. These are the most popular destinations with our readers, along with Jane’s own personal recommendations. If you know your wedding date and want inspiration please select a month. Alternatively, see Jane’s tips for the best one-week honeymoons and two-week honeymoons. This Indian Ocean archipelago is like nowhere else on earth – making it the perfect choice for a once in a lifetime honeymoon. Its 26 natural ring like atolls are renowned for their powder white sand beaches and jade seas. For honeymooners there’s the allure of being castaway in paradise, but more than that, increasingly sophisticated resorts have become irresistibly romantic and indulgent with everything from underwater clubs to 24-hour spas – two of the highlights at the stylish NIYAMA. Huvafen Fushi is another Maldivian epitome of barefoot chic, but there’s a new slant to the Maldives that’s making it even more attractive to couples – the rise of the all-inclusive, making it an incredibly affordable honeymoon given its remoteness and high standards. Meeru Island Resort offers four-star all-inclusive quality at three-star rates. See more all-inclusive resorts in the Maldives. As a honeymooner in search of the exotic, the Maldives is a no-brainer. And although weddings are still not legal here for UK couples, a two-centre honeymoon is popular: you can get married in Sri Lanka then honeymoon in the Maldives. See my list of the best honeymoon hotels in the Maldives, and more honeymoons in the Indian Ocean. Highly accessible with guaranteed sunshine, the Caribbean offers amazing all-inclusive deals, boutique one-offs and special treatment for newlyweds. It’s an obvious choice for a winter honeymoon but also great value in spring and summer. There’s so much variety here, it’s hard to choose from the culturally rich streets of Cuba to the culture and rainforests of the Dominican Republic. Many UK honeymooners opt for St Lucia, Barbados or Jamaica. Blow the budget one-offs include Richard Branson’s Necker Island in the British Virgin Islands. For more upscale boutique hotels, see this collection of 13 lovely small hotels and resorts. The region provides many options for two and even three-centre honeymoons, island hopping and cruising. It’s also one of the easiest places on earth for UK couples to tie the knot overseas. 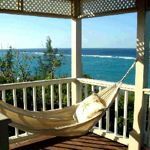 See my full article about the best honeymoon destinations in the Caribbean, and how much a Caribbean honeymoon costs. Greece has enjoyed something of a renaissance over recent years in terms of stylish accommodation. Add to that its accessibility and the natural beauty of its mainland and islands, and you have a strong honeymoon contender, especially in times of recession. The dramatic island of Santorini comes top of many honeymoon wish lists with slick boutique hideaways like Grace Santorini. And if you want more privacy and self-sufficiency, rent one of these villas for two in Greece. As long as you’re not after a winter honeymoon, Greece makes the need for long-haul redundant. Find more honeymoon destinations in the Mediterranean. There’s no denying that Italy is a reliably romantic choice for honeymooners. Few could argue with a honeymoon on the Amalfi Coast with its iconic towns and villages including Maiori, Minori, Ravello and Sorrento. The island of Capri is one of the most sought-after places in the world and you’ll need a healthy budget to check into a fabulous hotel like the Capri Palace Hotel & Spa, beloved of celebrities. However, it rises to the occasion and newlyweds are treated especially well. In Tuscany you can rent a gorgeous villa for two. Venice remains another iconic city of romance with some of the world’s best hotels or honeymooners can choose to go off the beaten track to some of Italy’s more undiscovered regions such as Chianti and Le Marche or even take a cycling tour of the regions. Other options include the romance of Sicily, the beaches of Sardinia and a three-centre tour of Rome, Florence and Siena. For a good value summer holiday, I recommend the Italian Lakes – they are easy to get to, each lake has its own distinctive style and you can combine them with Venice. See my extended recommendations for honeymoons in Italy. Thailand remains an exotic destination for UK couples and in its favour are high standards of service and relatively affordable long-haul prices. Most couples either combine the capital, Bangkok, with a trip down south to islands like Koh Samui or Phuket or head north to the culturally rich heartlands of Chiang Rai and Chiang Mai with everything from elephant treks to cookery schools. You may also want to consider neighbouring Cambodia and Vietnam. Africa offers honeymooners so many dimensions that it makes a memorable, multi-faceted honeymoon a reality. The combination of a safari followed by a week of beach relaxation is a popular choice. A Tanzania safari and a beach stay on the Arabia-meets-Africa island of Zanzibar is a great combination. Or you can safari and sunbathe on the beach within Kenya itself. For the most lavish camps and remote wilderness experience, I recommend Botswana. Few experiences will top silently punting along channels of the the Okavango Delta in a mokoro canoe, getting close up views of big game. Alternatively, honeymooners can explore South Africa combining Cape Town, the Wine Route and a safari. Or round off a visit here with a week in Mauritius. Northern Africa can’t be ignored: Morocco. and Egypt are outstanding honeymoon destinations. See my detailed guide to the best honeymoon safaris in Africa and all about what it costs. The USA offers so many amazing honeymoons choices from the hip South Beach in Miami to the diversity of California. You can combine New York and Las Vegas in this twin-city honeymoon (from £1,250 per person including flights from the UK). Florida is a year-round sunshine option: stay at a fabulous luxury hotel in Palm Beach County or try a thrills and beach combo. Alternatively, take an iconic road trip such as this 13-night Flagship California honeymoon. It’s easy to tie the knot here too – find out more about how to get married in Las Vegas. The Seychelles enjoyed a huge boost when the royal couple, William and Kate, spent their honeymoon on North Island. Whichever island you visit, you’ll find extremely high standards, and a pristine environment. You won’t find many all-inclusive resorts here, but you can find big names like Banyan Tree. For honeymooners on a big budget, the beautiful private island resorts such as Denis Private Island are very special indeed. Also see these boutique hotels and this unique island-hopping itinerary. We’re all aware of the rise of the staycation and this is as strong as ever with honeymooners, especially those who want to avoid flying or are time poor. For luxury in beautiful countryside, it’s hard to beat Gilpin Lake House in the Lake District. Stay in one of six luxury suites, get massages in the lakeside spa, drink Champagne in the open-air Japanese hot tub, then take a chauffeur-driven car to the main house for a candlelit dinner. The UK self-catering honeymoon has also evolved massively over the past decade with chi-chi hideaways like those offered by Rural Retreats, and these away-from-it-all honeymoon hideaways in Wales. Personally, I rank Scotland among the most romantic destinations in the world. This 5-night self-drive Luxury Scottish Honeymoon includes stays at one of Edinburgh’s best five-star hotels, a lodge on the shores of Loch Ness and a private island off the west coast of Argyll. You can also upgrade to a classic sports car. South America is on my top ten as one to watch. Momentum is growing in terms of honeymoon interest in Brazil and Argentina that have some of the coolest hangouts in the world along with stunning natural environments from rainforest to desert. Trendy Trancoso on the Bahia coast of Brazil is a honeymoon worthy of an fashionista or you can party with the jet-set in Rio. Argentina offers fabulous value for money once you’re there and great contrasts from partying in Buenos Aires to standing atop a Patagonian glacier. Other honeymoon destinations popular with our readers include the Mediterranean islands of Ibiza and Corsica, the Indian Ocean island of Mauritius, Sri Lanka, Malaysia and Borneo. 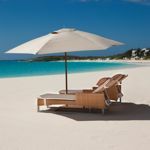 See my detailed guides to the best honeymoon destinations in the Indian Ocean and the Caribbean. Also see my guide to the best luxury honeymoons around the world. Leading tour operator Kuoni issues its own annual report on the top 10 honeymoon destinations (below). We have our doubts about this list. Firstly, Kuoni is a long-haul specialist, which is why you won’t see many European destinations here. Visit our homepage for more honeymoon ideas, or see our sister site’s selection of holidays for young couples.